Nationwide -- A 16-year old daughter and mother duo are taking the virtual assistant industry by storm. 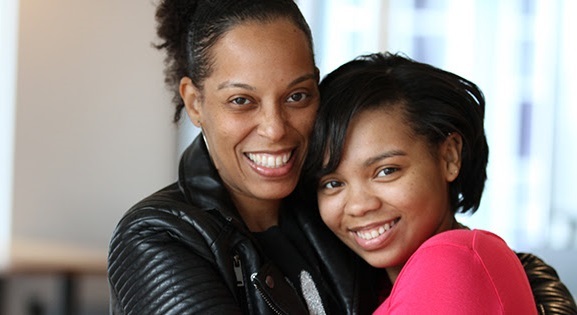 Naming the business after her daughter, Essynce Moore, Starr found it highly important to keep entrepreneurship in the family and teach her daughter the knowledge she needs to survive in life. By learning and applying lifestyle skills, business acumen, and a powerful since of execution, Essynce will always have the ingredients to never go hungry. The Very Essynce of Virtual Assistants, as the name suggests, provides personal assistant and virtual office administration for secretarial, marketing, and bookkeeping services at very affordable rates. A great incentive about The Very Essynce of Virtual Assistants is that its executive team includes minority women who are committed to providing value to their clients, great customer service, and going above and beyond to meet the satisfaction of their clientele. What makes the business unique is at 16-years old, Essynce Moore is the VP of Youth Development, providing other youth entrepreneurs with advice, confidence, and a blueprint to start their own business. Essynce believes that her peers would be more focused learning from someone who looks like them in the mirror. Businesses around the world are developing at a rapid pace, and unlike the past few decades, where businesses were limited to their domestic level, they are receiving clients consecutively. Although it is beneficial for the growth and prosperity of the company and increases profits, the pressure of dealing with clients from around the world or doing other related tasks can be cumbersome. This is the reason why The Very Essynce of Virtual Assistants is a NEED and not a want. Their focus is to help businesses and entrepreneurs by reducing their workload, overhead, and costs. Their customers will be able to work "on" their business rather than "in" their business. "At Essynce Empire we hope to instill a deep sense of pride within our customers by providing the highest quality services. Starr believes the best way to display her business vision(s) to customers is done simply by focusing on making things happen: with emotion and care," says Starr Barrett (Founder/CEO). The Very Essynce of Virtual Assistants will also be able to give other men/women the opportunity to have flexibility while working from home. A great business for single parents and those that are trying to balance a full-time job and their own small business. A Virtual Assistant is the "essence" of solutions for businesses and personal lifestyle needs. The Very Essynce of Virtual Assistants vision is to master the art of Administrative Services for individuals/businesses and create a masterpiece of diligence. They work in their own fully equipped office and have EVA's available 24/7. Some of their services include, but aren't limited to: travel arrangements, calendar updates, telephone answering, bookkeeping services, email management, marketing, creating presentations/spreadsheets and much more!